HomeBlogArtWhale Light Sculpture by Niamh Barry. Whale is an exciting light sculpture by contemporary artist and light sculptor Niamh Barry. 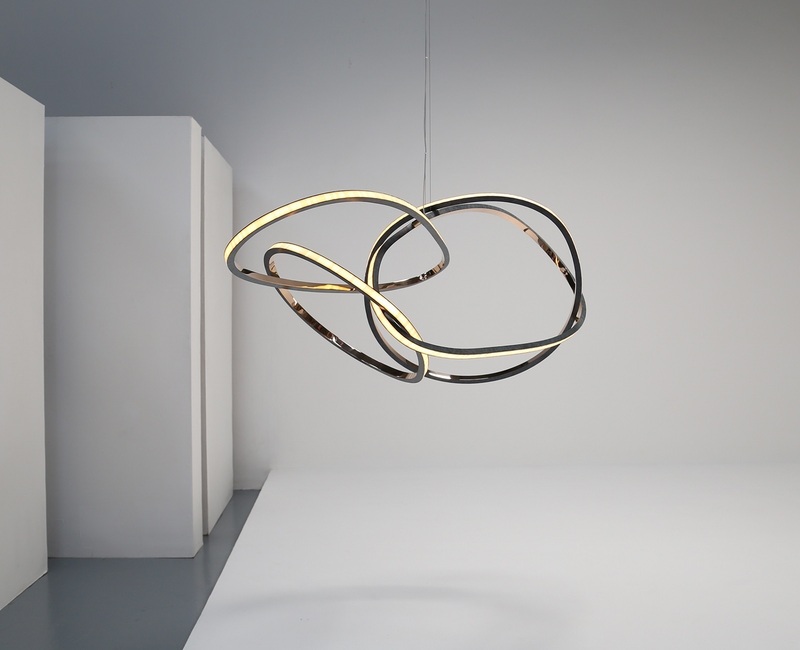 A beautiful suspended sculpture that doubles as a lighting piece. 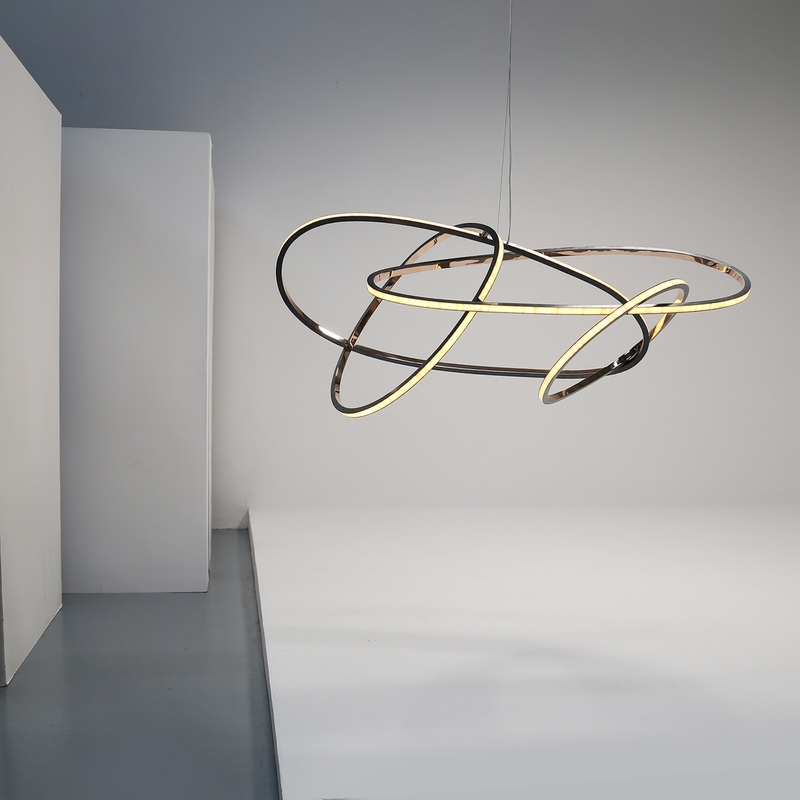 This unique and fluid art piece is composed of floating hand-formed metal rings, a signature theme of the artist. 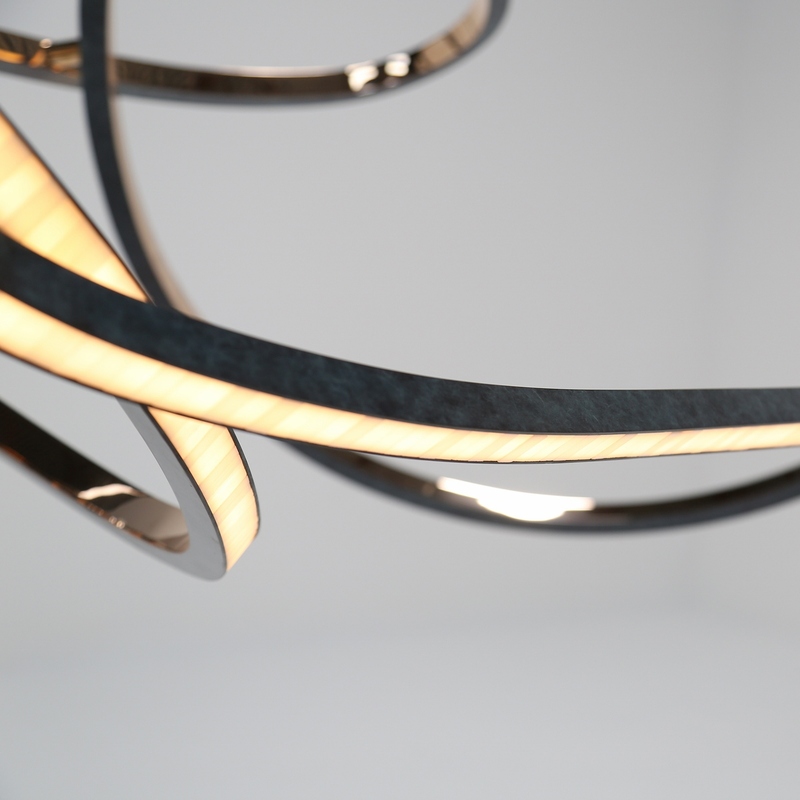 It is handmade of mirror-polished and patinated solid bronze, glass opal tiles, and dimmable LEDs. 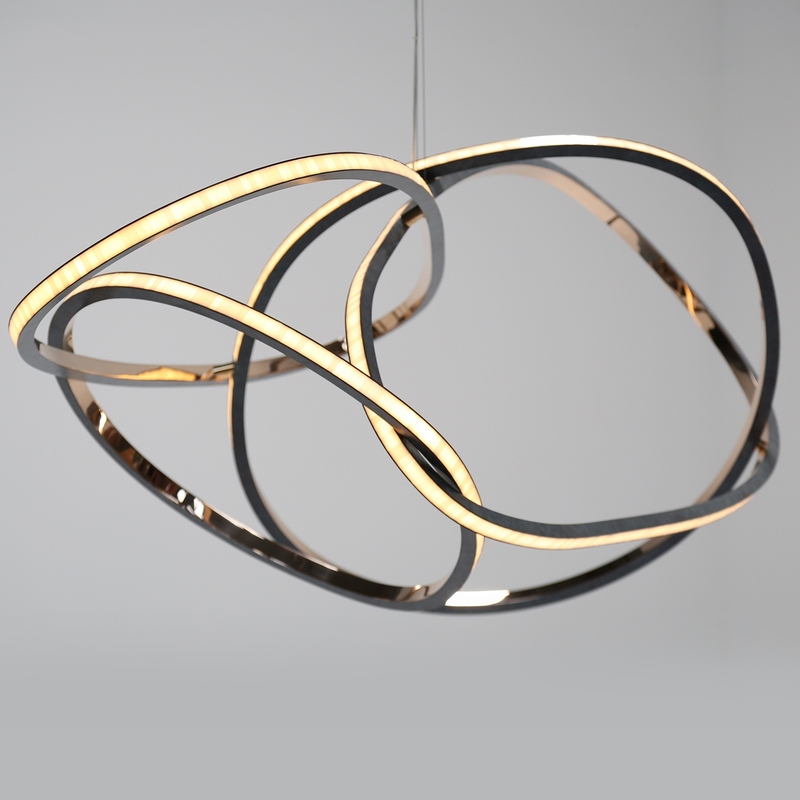 Its elegant shape is inspired by movement, despite the fact that the piece is static, its sinuous form is so dynamic that it appears as if the object is kinetic. 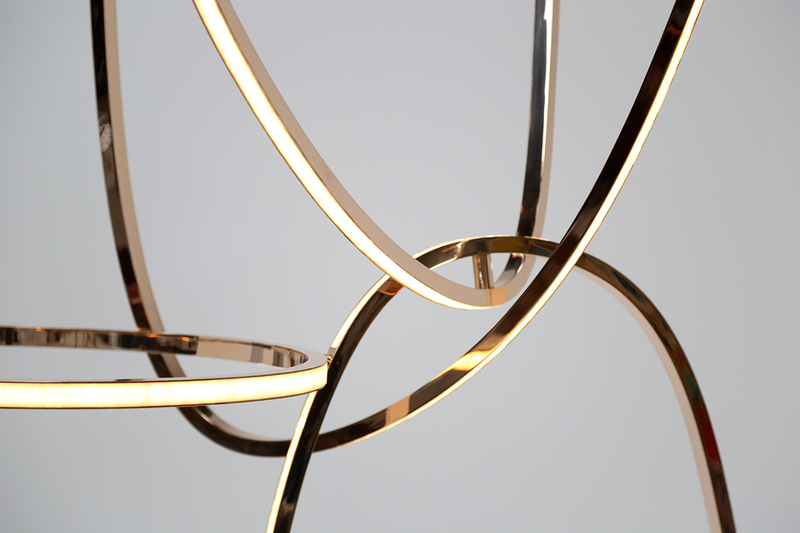 In addition, this distinctive illuminated suspended sculpture takes on completely new forms depending upon the angle from which it is viewed. Essentially, it encourages the viewer to move around the artwork in order to experience the piece’s multitude of shapes and multifaceted form. 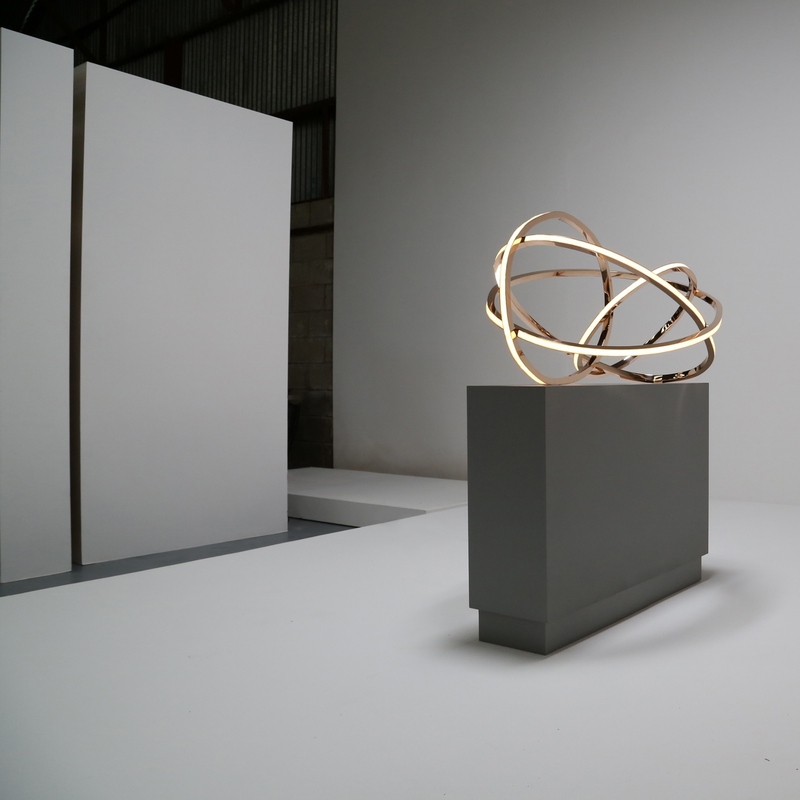 Barry works on a commission basis and can create bespoke versions made to order with custom dimensionality, materials and finishes, such as bronze or stainless steel. The defining characteristic of all her pieces is outstanding craftsmanship combined with aesthetic simplicity and purity. Niamh Barry was born in 1968 in Dublin, Ireland where she still works and lives. In 1991 upon graduation from the National College of Art and Design, Barry established her studio and started to make unique conceptual furniture and light sculptures from a range of materials that has included aluminum, porcelain, linen, mirror, and acrylic as well as wood, black patinated solid hand formed bronze, mirror-polished hand-formed solid bronze and Murano glass. In her signature work, visual weight and movement are a constant theme. Barry’s work is included in many public and private collections nationally and internationally, including the Four Seasons Hotel, O2, Candy and Candy, Merrion Hotel, Shelbourne Hotel, Finchatton, and U2.